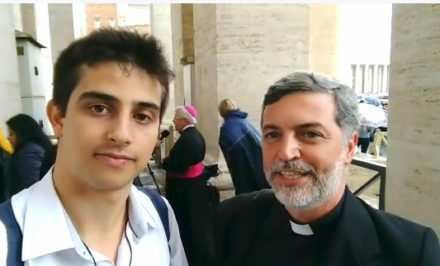 It was truly an exceptional talk springing from not only the documentation gathered by the Dicastery during the gathering of youths from allover the world taking place prior to the above-mentioned Synod (and which was part of that synodal way of preparation for the Conference), like the final document which was a result of the said Synod. The Conference responded to the invitation and initiative from the Branch of Professional Young Adults from Costa Rica that sought to know the thinking and the impressions of Father Alexandre in more depth on what the Church expects from the Catholic Professional Young Adults in the present world (according to his experiences in the Dicastery, the Synod, and in the work world). 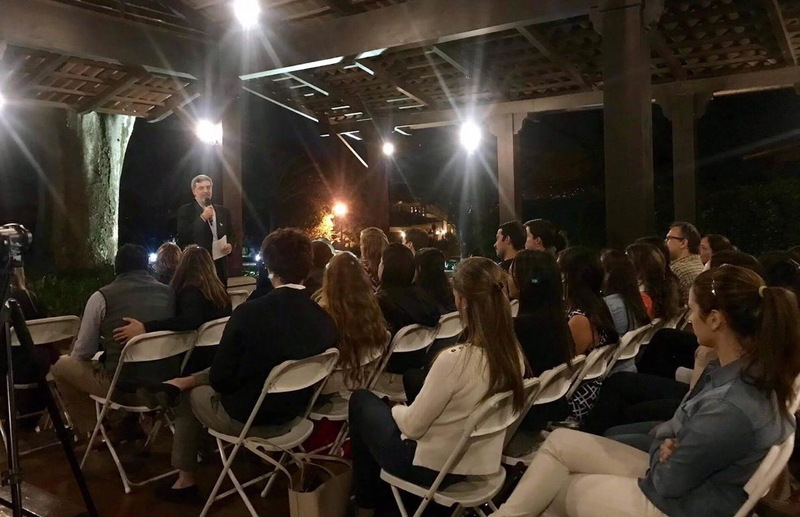 A great part of the fifty professional young women active in the Costa Rican Branch, as well as members and instructors who integrate the four groups from the Branch of Professional Young Men were present on that date. 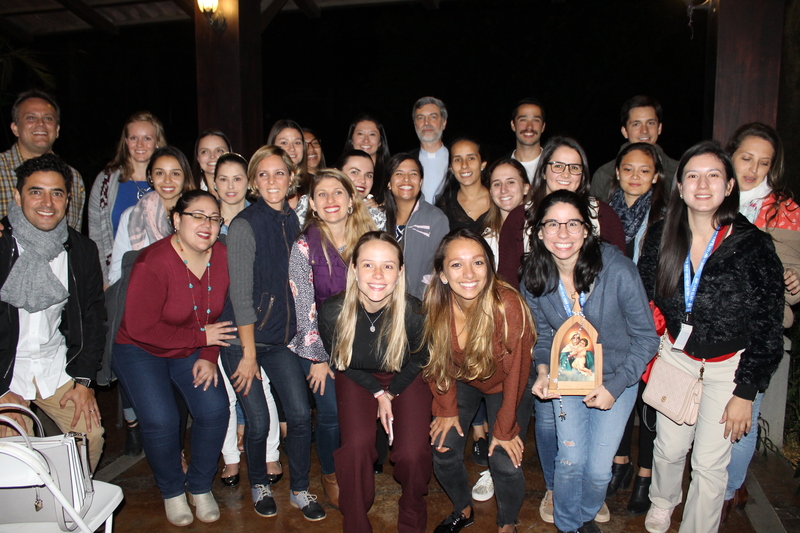 Similarly, a good number of families from the Family Work attended, some professional young women from other countries that were in Costa Rica as a consequence of the International Conference, and other interested people (among them a young woman journalist from the Costa Rican newspaper ECO CATOLICO, which had interviewed Father Alexandre a few hours earlier). Remember Fr. Alexandre was involved in the Synod’s preparation process before his being named to the Dicastery, and he participated in both the Pre-Synod as well as in the Synod itself. Likewise he was part of the go-between commission from the Vatican to the Archdiocese from Panama for World Youth Day preparations. 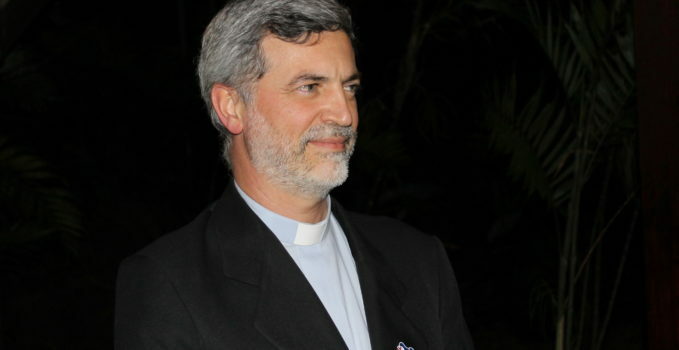 Therefore, his visit to Costa Rica did not go by unnoticed for the church authorities or for the Catholic communication apparatus in Costa Rica. Thus when the young journalist found out about the Conference, she immediately showed interest in attending and Fr. Awi responded with a warm welcome to the Conference. What better way to introduce the topic of work and vocation, work as a vocation, and living one’s personal vocation on the job… than telling about your own search and discernment history? This is exactly what Fr. 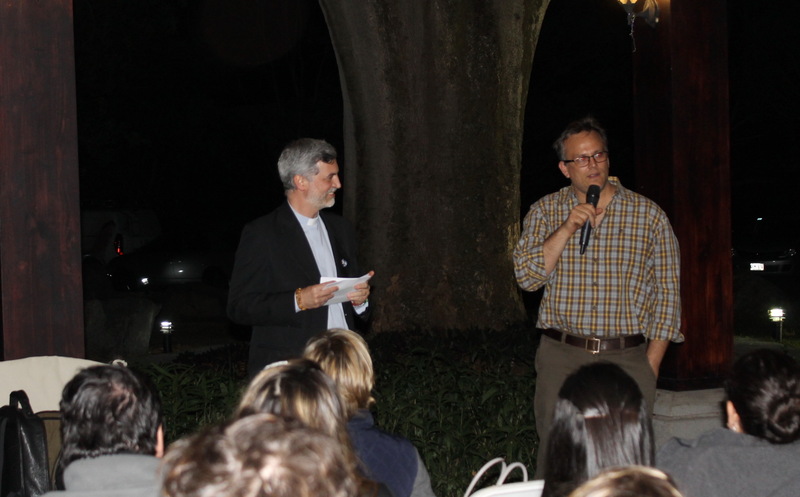 Alexandre did when he introduced himself as “father, priest, Schoenstatt Father, always.” He said he was ordained to the priesthood seventeen and half years ago, and almost all of these years have been spent working with young people. Curiously, he did not begin his professional life as a priest, but as part of the Brazilian Navy, where he commented, he always felt comfortable since he liked that world in which discipline, order, and respect rule. Nevertheless it was also there that he also encountered the faith more deeply, while he also collaborated with other young men in the Navy’s College Chapel. Humorously he mentioned that they were jokingly called the “capeletes” (chapelettes), because they were the ones who genuinely all remained firm in offering their help and assistance in the chapel. Slowly and unexpectedly— he indicated while it was obvious that the audience followed his narrative of discernment with great interest —I began to feel greater satisfaction, completeness, and joy in my work in said chapel than in my Navy functions. It was that way when approximately two years before graduating as a naval officer in his heart, he felt a calling leading him to abandon a military career with the goal of making a more in-depth discernment regarding his vocation, and thus verify whether he should truly enter the seminary or not. A short time later, he terminated a relationship with his girlfriend in Brazil, decided to go to Chile to know more about the youth and the Schoenstatt spirituality he had just come to know through the Navy College chaplain (who was a Schoenstatt Diocesan Priest that built a Wayside Shrine to the Blessed Mother in the chapel which he attended). 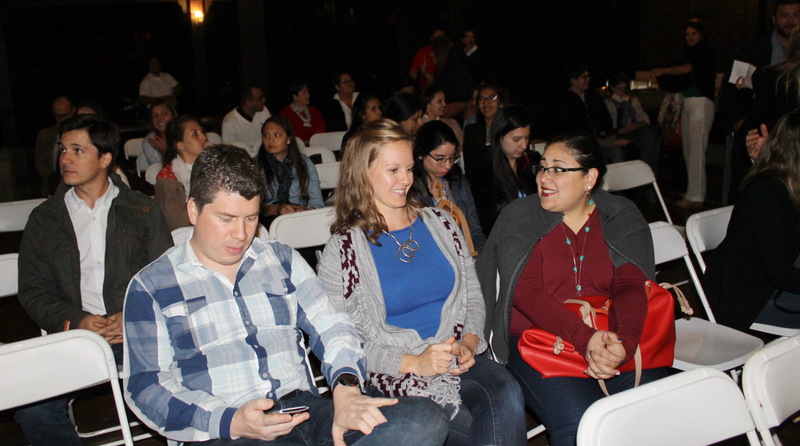 In Chile, he followed a discernment process that definitely was not a day-to-day process. 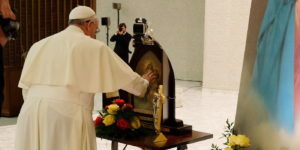 He even began another relationship with another girlfriend that would have to also end when he came to the total conviction that his life’s mission was not in the Navy, nor marrying and having a family, but talking and speaking about God to people, being a priest, and being at the service of the Schoenstatt Movement. That led him to finally enter the Schoenstatt Fathers’ Novitiate. 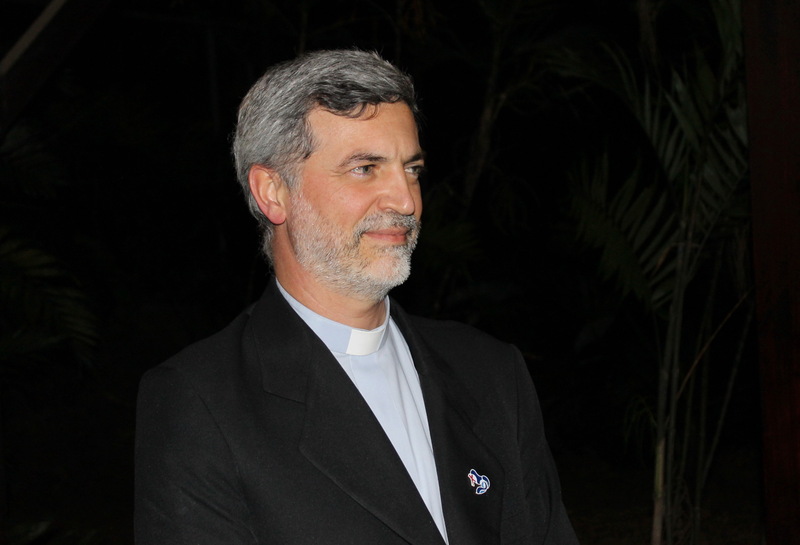 Since then, he finished his studies in seminaries of the Institute of the Schoenstatt Fathers, worked for a year in a parish, and then began his work with the Movement’s Youth in Brazil, a mission that during all that time made him feel as if he had found himself in exactly the right place, and he developed professionally and spiritually according to the way he had always dreamed of living out his vocation. He was practically always working with the Schoenstatt Youth until, after and thanks to some Church conferences in Aparecida (where also the then Cardinal Bergoglio participated); his life began to take a different turn. Providentially, in the shadow of said Marian Shrine, Fr. Alexandre established a personal relationship of friendship with another priest (Father Jorge, as he liked to be called), with whom he continued to maintain correspondence. Later on, in 2013, he again meetings with the now Pope Francis at WYD celebrated in his native city, Rio de Janeiro; it was there that the friendship consolidated even more. 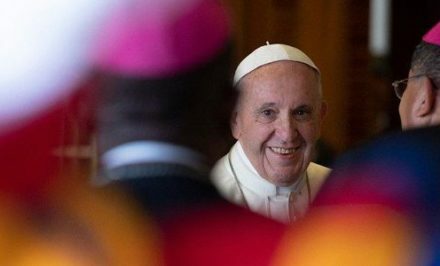 As a result of that closeness with Francis, he decided to call him to work with him at the Vatican and assume the position of Secretary General of the Dicastery for Laity, Family, and Life, a task he has worked on in Rome since June 2017, and which in January was taking him to Panama. Jesus is the answer – but who is asking? “Jesus is the answer – but who is asking?” With this very simple phrase, Fr. Alexandre showed the Copernican change aroused in the Church during the preparation and development of the Synod for Youth. “The Church knows how to give answers and has them,” Fr. Alexandre explained. But this time, different from almost all previous occasions, they decided to begin to prepare the subject matter that would be addressed in the Synod by coming up with a phase beforehand of attentive listening to what the young people said, asked, questioned formally, and consulted during the pre-synod assembly for youths. “Everything began and was developed by asking young people themselves… Never before had there been a process of listening like this one,” he affirmed. The Youths’ dream of security, stability, and completeness. Many expect a better life for their families. In many places of the world, this means seeking physical security; for others, this is more specifically related to finding a good job or a certain style of living. A common dream on all continents and oceans is the desire to find a place to which the young people feel they can belong. We imagine better opportunities from a society which is coherent and which trusts in us. We seek to be heard and not just be mere spectators in society, but active participants. We seek a Church that helps us in finding our vocation in every sense. Sadly not all of us believe holiness is something we can reach, nor a way to happiness. We need to revitalize the sense of community that can lead us to a sense of belonging. Some real life situations make our life difficult. Many youths have experienced great traumas of different forms. Many still suffer the weight of physical and mental illnesses. The Church needs to support us more and provide ways to help our health. In some parts of the world, the only way to secure a future is by getting an advanced education or working excessively. In spite of the fact that this is a shared common standard, it is not always possible due to various circumstances in which the youths find themselves. This is a predominant notion that has affected our concept of work. Notwithstanding this reality, young people desire to affirm the inherent dignity of work. Sometimes we end up abandoning our dreams. We are too fearful and some of us have stopped dreaming. This is evident in many socio-economic pressures that can rob a sense of hope in the young people. On occasion, we do not even have the opportunities to continue dreaming. For this reason, young people seek to commit themselves and to face the problem of social justice in our time. We seek the opportunity to work in order to build a better world. In this sense, the Social Doctrine of the Church is a particularly informative tool for Catholic youths that also want to follow this vocation. We want a world of peace that puts an integral ecology with a maintainable global economy in harmony. Youths who live in unstable and vulnerable regions wish and hope for concrete actions on behalf of their governments and society: to put an end to war and corruption; to face climate change, social inequality, and insecurity. What is important to highlight, is that beyond the context, everyone shares the same innate desire for high ideals: peace, love, confidence, equality, freedom and justice. Young people dream of a better life, but many are forced to migrate in order to find a better economic and environmental situation. They seek peace, and are especially attracted toward the “myth of the west,” as is presented by the media. African youths dream of a local autonomous Church that does not require help leading them to dependence, but one which is capable of giving life to their communities. In spite of many wars and intermittent spreading of violence, youths maintain hope. In many western countries, their dreams are centered on personal development and self-realization. In many places, a great gap exists between the desires of the youths and the ability to make long-term decisions. TOWARDS THE SYNOD OF YOUNG PEOPLE, editorial team. 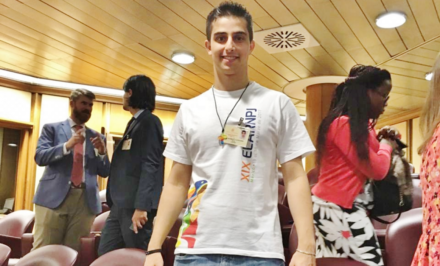 On the morning of Saturday 24 March 2018, the pre-synod meeting ended with the approval of the document with proposals the young people presented to the Church at face value for the next Synod of Bishops. At the end of Holy Mass on Palm Sunday, Pope Francis received the conclusive document from the group of youths who had participated in the Pre-Synod Meeting at that week of work ending on Saturday, March 24th. As per his custom, the Pontiff did not skimp on greetings, smiles, and selfies.